By the end of February 2013, there will be hundreds of thousands of students who are just getting comfortable in their Professional Writing and Editing courses they’ve signed on for the remaining year. Writing itself is not an uncommon hobby. So many people sign on to these courses because they want to get good at it. It doesn’t matter if you’ve got Einstein’s IQ or you’ve read your entire state library – every good writer out there had to learn from somewhere. Where writer’s workshops and classes would once have been the only meaningful way an aspiring writer could get feedback on their work, we’re in the year after the world ended now, and life has gotten a hell of a lot easier for the budding writer. I stumbled onto Critique Circle in 2011 with a handful of short stories I couldn’t even convince my friends to read, and within a couple of weeks I had six solid critiques on the first piece I submitted. The people critiquing, were, in most aspects, just like you – the aspiring writer – looking to improve and lift one’s abilities in writing. They don’t have a University curriculum to appease. They don’t have a rule book with guidelines that are comprised from hidden agendas. They are, in essence, great appreciators of storytelling and have an open mind when it comes to personal artistry. And the critiquers are all different. In age. In gender. In life experience. You’ll get people reading your story from all over the world. This is important, because it gives you as much variety as possible. My system was to wait until the end of the critiquing period before I would go over everyone’s extensive inline edits / suggestions, and then filter through what I agreed and disagreed with. 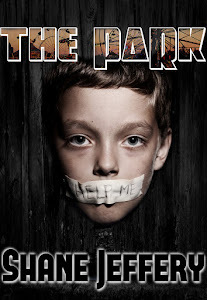 Eventually, I wrote my first novel “The Park”, and began submitting its chapters late last year. During its course I formed many key friendships in the writing community, and CC became a gigantic source of information in all areas of writing and publishing. I have since published The Park on Amazon this year, and have received a handful of positive reviews, some of which speak of how it’s been edited flawlessly. No, I don’t have some random stranger who took five hundred bucks off me to thank for that. Nor was it a five thousand dollar university course. Yes, all of it’s true. You can try this at home! Definitely! CritiqueCircle offers more personal attention to each person's writing needs and growth than any other forum, class, or critique group I've experienced. Thanks for giving us this view. I don't know about anyone else but it would be hard for me to find a week to go to 'writing school'. I can do critique circle in smaller chunks all the time. I like this post, but I do have to say that face to face groups and discussions of your story is invaluable, and CC can't be a substitute for it. School is okay, but the only real way to learn something is to do it. That depends what day it is . A great day in either is a great day. They do different things. I love my BA in professional writing and publishing course with Curtin University and even more all the reference books the university recommends. I took two months away from Critique Circle to focus on improving my editing knowledge, and I learned as fast during that time as I did in my first couple of months in Critique Circle. There is always a time when your learning phase slows down, with an old familiar and loves learning group. It is valuable to look around and find new areas where you can continue to advance. I did that and I'm glad I broke away for a while. Now I'll strive to find time to combine both as I missed my CC buddies. As a part of stimulating my learning here, I am seeking to add new critique buddies as a part of my on going learning, so if you are interested in working with an Australian historical crime fiction writer, here in CC, I have a few queue spaces left. I LOVE the cover for The Park - really excellent! After trying other on-line crit sites, I've got no doubt that the CC site is hands-down the best out there. The folks who developed the functionality of the CC site deserve 5-stars on a daily basis, IMO. I also like the members here—everyone sincerely tries to be helpful. Not only do I get great crits, but I learn a lot in the forums, too. Having just recently joined CC, I found your post to be incredibly encouraging. Thanks! It's true that live writing groups are different from online ones. I belong to one live group and I belong to CC, and that's it. I've taken a few writing courses but I think of those as supplemental to what I get from those other two sources. I like face to face, but what I like about online is that I can stop and think before responding to somebody's comment, and when I critique online, I can change anything I've typed. When I hand-write a crit for the live group, it's a lot harder to change stuff. I'm a newbie. CC in general and this blog in particular seem a good partner to my face-to-face writers group. As UpNorth mentioned, getting info in bite-sized pieces works well for my schedule (and my ADD thinking patterns). Looking forward to more like this. I'm not sure why this is being presented as some sort of competition, but, inasmuch as any day in writing school amounts to the same thing someone can do here — writing, that is — this is certainly much less expensive.